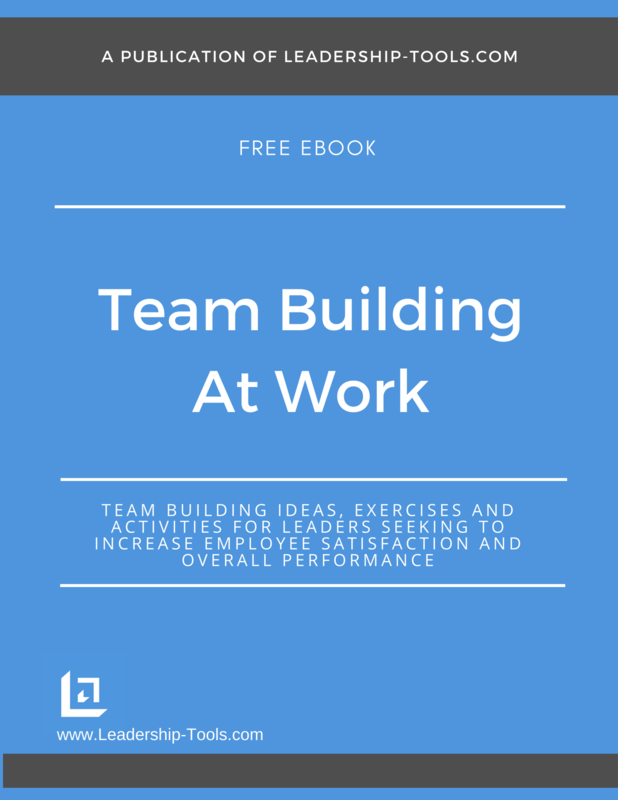 Our team building tips and strategies for leadership development and other important topics are providing in our free eBook, Team Building At Work. 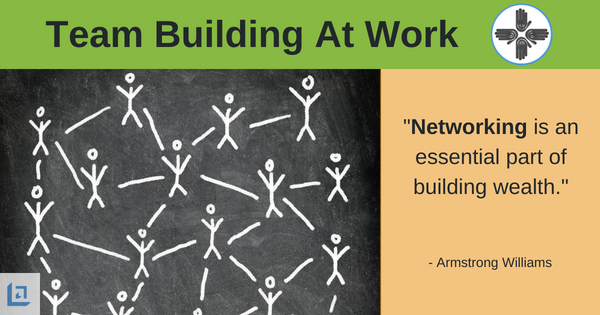 In this chapter we focus on how important effective networking is for your business and your career. Given today's ever-changing, competitive environment – people can take ownership of their professional future by always considering themselves as being “self-employed”. Whether you are salaried, under contract or even unemployed – you will benefit by adopting the mindset of “self-employment”. The fact is that most people are where they are right now as a result of their collective decisions over the past 1-2 years. So if you don't like where you are, you have the power to make different decisions, right? No matter what your position is today, the fact is you are at risk. Gone are the days where people work for the same company for 30-40 years and retire with a nice pension. The fact is that organizations are in a constant state of change. As a result, your job is always at some level of risk. Even if you are the business owner, your competitors pose a real risk to your livelihood so you cannot afford to be caught off your guard. Never allow yourself to be complacent about creating options in the event that your current position is downsized. Yes, it can happen to anyone, even you can be "let go". In fact, the odds are that at some point in your career this will happen to you. Are you prepared for a forced career change? Have you created a network of resources that can help to minimize the impact, financially and emotionally? "The idea of networking is not to see how many people you can meet; its to compile a list of people you can count on." Effective networking is one of the most powerful ways to limit your risk of someday finding yourself unemployed or out of business. Whether you have an immediate need or not, you should always be looking for potential opportunities. Having career options in your back pocket will minimize your risk and lower your blood pressure considerably when faced with a corporate downsizing. Focus on your many areas of interest. Identify individual you'd like to get to know who might also be in a position to assist you in achieving your goals. Adopt a habit of getting to know people. Reach out to others in a sincere effort to know more about them. Freely share your goals and aspirations with those you trust. The connections you make will open many doors of opportunity. Always be authentic, never fake. Identify key decision-makers. Know who has the ability and the authority to support you in your areas of interest. Your efforts to reciprocate are key to nurturing these strategic relationships so if you hope to "get", be proactive and willing to "give". Networking is a great way to get involved in important community events, meet new and interesting people and increase your chances to learn and increase your knowledge and skill-set. The following team building tips and activities provide great ideas for improving your effectiveness at networking. Purpose: To teach team members the importance of learning more about the people they interact with. The ability to make personal connections with clients or co-workers is an important way to ensure customer and employee retention, as well as increased sales and career opportunities. Explanation: Team building tips and exercises like this one provides an opportunity for team members to connect with one another while learning an important sales management skill. The benefits of simply taking someone out to lunch is often missed on professionals. Everyone has to eat so it's not like you don't have anything in common, right? Be smart and make the most of the "lunch" opportunity. Again, you can't be successful at networking if you do it in a way that is not sincere. If you can't be authentic, then your odds of success will be greatly diminished. The first goal should be to LISTEN and LEARN as much as possible about what makes the other person tick. Make a point of really getting to know that person's story. When you do that you'll find out that there are a lot of amazing stories out there. Enjoy learning about the people around you. As you learn more about this individual, you should be trying to identify common interests that you can discuss in an effort to build rapport and connect on a personal level. Ensure that you are doing your part to uphold your end of the conversation. Don’t allow yourself to take over the conversation and make certain that your comments are more about the other person versus about yourself. Asking questions to learn more about someone else shows that you are sincerely interested in them and is flattering to the other individual. After explaining the preceding importance points on effective networking, pair up and assign your team members to go to lunch with one another during the coming week. Provide them with the task of learning more about the other person. Seek to find out fun facts that they would otherwise never know. In addition, ask them to identify common areas of interest and topics that helped them make a more personal connection with each other. Find out each other's "success story". What happened in their life and career that got them to where they are? Bring your group back the following week to present their findings and enjoy learning amazing fun facts about your team. Next, use these same team building tips and lead your team in a brainstorming exercise to identify who they should be inviting to lunch next. If your team sells a product or service, then identify prospective clients and leverage the art of networking to increase the productivity of your entire team. "Networking is all about building relationships with people. It's about being genuinely interested in their well being. In turn, they'll be interested in yours. Be authentic, share your knowledge and time, and never burn bridges." Purpose: To coach team members to learn more about people they meet and to recognize common areas of interest that can be utilized to create more solid personal and business relationships. Explanation: A famous speaker once explained that whenever he visited someone’s home he couldn’t help but take inventory of the various books and magazines that were visible throughout the house. The reason he became so accustomed to noticing the person's reading materials is that he recognized that it gave important clues to the individual’s passions or personal interests. Taking the time to learn what interests others is one of our most important team building tips that will open many doors in your career if you do this on a regular basis. Ask your team members to quickly make a list of all the books they’ve read in the last 3 months. Ask them to also share the book they are currently reading. "Networking is an essential part of securing future opportunities and building wealth." As each person shares their book list, seek to identify common ties between the types of books they are reading. Ask them why they chose those particular books; what got them interested in certain genres, etc. The details that will come from their responses will provide important insights into your team members unique interests. As a leader you might also take note of titles that employees are reading that assist them in their current roles. It’s easy to recognize who reads just to escape, and who reads to learn and grow. Famous author and speaker, Ken Blanchard encourages every person to become a lifelong learner. So what does your 90 day book library consist of? Are you seeking out new information and resources that will assist you in getting to the next phase of your career? Take a personal inventory of your reading library today – and help your team members to do the same using our many team building tips and strategies. As you network with others, ask them what they read and why they read it? In doing so, you may discover you have something in common. 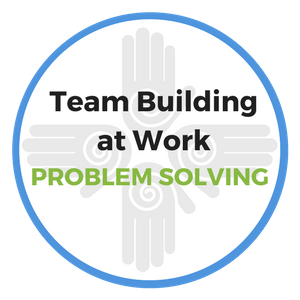 To download our free Team Building At Work eBook, providing team building tips, strategies, ideas and exercises, simply subscribe to our free newsletter. You will immediately receive a password that grants access to our entire collection of team building tips.